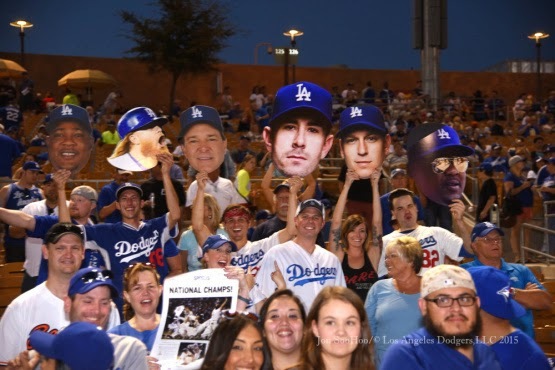 CAMELBACK ROCKS: The Dodgers and Indians meet for the second of three games this spring in a sold-out contest at Camelback Ranch – Glendale. Los Angeles and Cleveland also square for the final time during the Cactus League slate on March 22, a contest also at Camelback Ranch. Last night, the Dodgers’ played to their fourth tie (the club’s first tie was against the Indians on March 7) this spring, 3-3, moving their record to 5-2-4 this spring. With 21 Cactus League games left, the club is one tie short of equaling the franchise mark for ties in a spring season, established in 2006 and matched last year. Once again, the Dodgers came from behind to equal the score, as Corey Seager’s sacrifice play plated Darnell Sweeny in the bottom of the ninth last night. 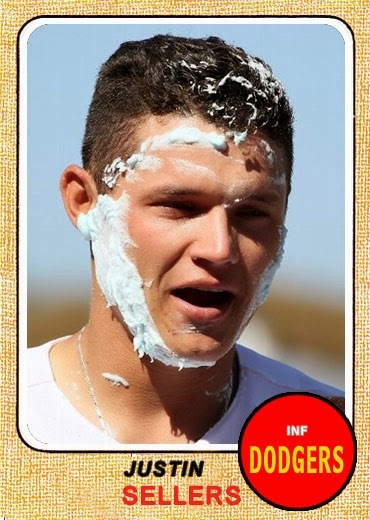 Outfielder Joc Pederson went 2—for-2 and his Cactus League average now stands at .421. On the mound, right-hander Chris Hatcher stayed perfect this spring, tossing a scoreless frame, while Juan Nicasio (1.0 IP), Daniel Coulombe (1.0) and Yimi Garcia (1.0) all tossed scoreless baseball. 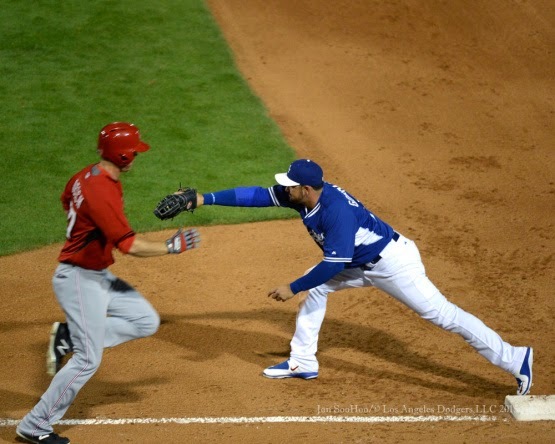 MAN, THAT’S BRISK: Through 11 Cactus League contests, the Dodgers’ average game time is two hours and 39 minutes, with the longest game being 2:53 on March 6 and the shortest being last night’s 2:18 no-nonsense affair. The club has also played three of its 11 contests at the exact game time of 2:46. RUN PREVENTION: Los Angeles pitching has been terrific so far this spring as the club has combined to post a 3.12 ERA and limit opposing hitters to a .206 batting average, striking out 76 and walking just 21 in 98.0 innings. The 3.12 mark is tied with Philadelphia for third among NL clubs, trailing just Cincinnati (2.83) and Pittsburgh (3.09). MINOR NEWS: Dodger minor leaguers held their first official workout of the spring this morning on the back fields at Camelback Ranch. The minor league portion of the Spring Training schedule gets underway for the Triple-A and Double-A rosters on March 20, while the two Single-A clubs have their opening games on March 22. ON THE MOUND: 27-year-old left-hander Brett Anderson will make his second start of the spring today after tossing two scoreless innings against the Giants. During the course of his career, he has posted a 1.29 WHIP and has limited opponents to a .316 on-base percentage and a .370 slugging percentage. In 2014, Anderson allowed only one home run in 43.1 innings of work. Veteran RHP David Aardsma is expected to make his third appearance of the spring today after pitching a scoreless inning of relief in the Dodgers’ tie against the Rockies on Tuesday. The former first round draft pick has averaged nearly a strikeout per inning during the course of his career with 305 strikeouts against only 169 walks in 306.1 innings. LHP J.P. Howell will make his second appearance of the spring today after giving up two runs and striking out one in an inning of relief in a 7-4 win over the Mariners. 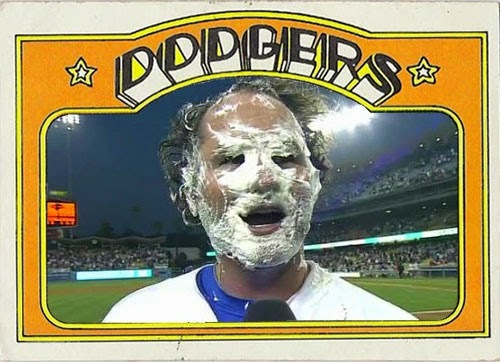 Howell enters his third season with the Dodgers after tying for the club lead with 68 appearances and setting a career-best mark with a .183 opponents’ batting average in 2014. Hard-throwing LHP Paco Rodriguez is also expected to see action today after striking out the side in a scoreless inning of relief against the Rockies on Tuesday. The 23-year-old Miami native tossed scoreless relief in 15 of 19 big league appearances, going 1-0 with a 3.86 ERA in 2014. RHP Dustin McGowan is expected to appear in today’s game, after pitching an inning of relief in his second appearance of the spring on Tuesday against the Rockies. After joining the Toronto bullpen in 2014, the 10-year veteran went 3-1 with a 3.35 ERA (16 ER/43.0 IP) in 45 games, while limiting opponents to a .215 average and a .284 on-base percentage. RHP Pedro Baez will make his third appearance of the spring today after tossing a scoreless inning of relief in Tuesday’s 2-2 tie with the Rockies. Baez posted a 2.63 ERA and limited opponents to a .188 batting average in 20 relief appearances in four stints with the Dodgers in his first MLB action last year. Veteran RHP Mike Adams will make his first appearance of the spring today. In 2014, Adams posted a 2-1 record in 22 relief appearances for the Phillies, with a 2.89 ERA (6 ER/18.2 IP) and limited opposing batters to a .232 average. Tommy Lasorda is hanging around Camelback Ranch to meet with fans, sign autographs and promote a new book about his life and career. 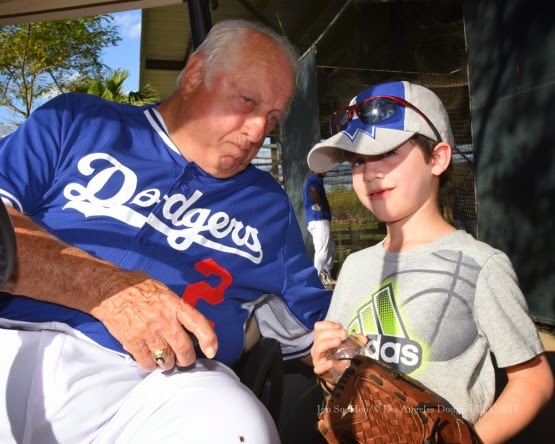 Be sure to check him out at the stadium this afternoon from noon to 2:00 PM to have him sign "Tommy Lasorda: My Way." 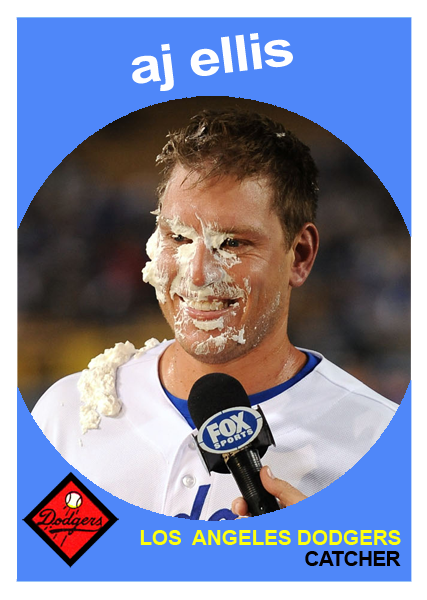 Will Ferrell now has a page at Baseball-Reference. Check it out here. Jorge Arangure Jr. of Vice Sports tries to find out who shut down the Ned Colletti twitter parody account @DodgerzGM, "The Strange Saga of the Dodgers and a Twitter Parody Account." BTW, the person who ran that parody account started a new one called @Ned2point0. Check out their first post below. Ha Ha! 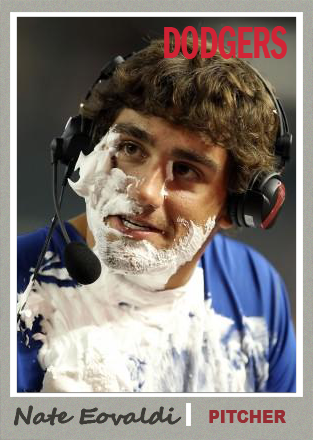 *Gun pointed at my head* "No, I wasn't suspended because of the real Ned Colletti. He is great man with a terrific sense of humor." Just more delays. It's appearing more likely that we'll again not have SportsNet LA on a a majority of Southland TV screens this coming season. Via Meg James at the LA Times, "FCC delays review of Comcast-Time Warner Cable and AT&T-DirecTV mergers." 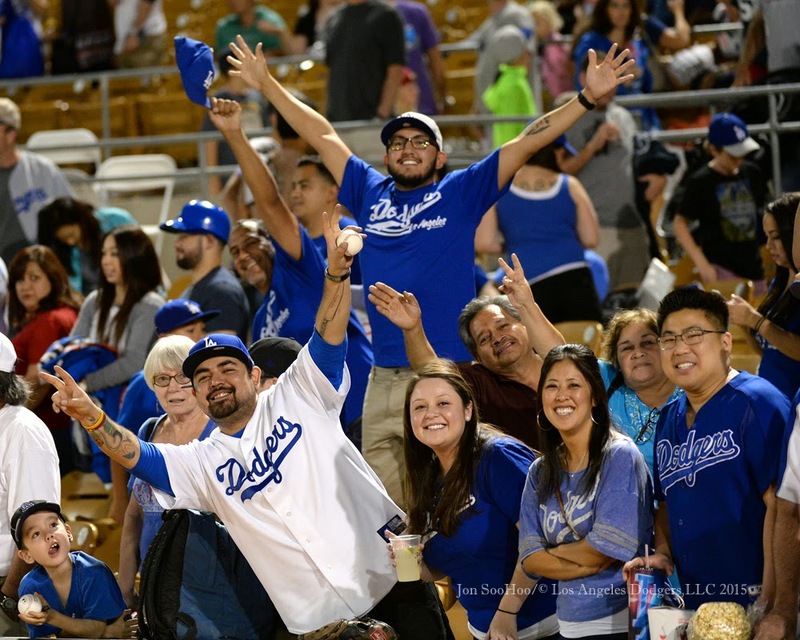 Via Mike Ozanian at Forbes.com, "Potential Sale Of Stake In Los Angeles Dodgers To South Koreans Values Team at $3 Billion." Here's a great story about a Dodger pitcher with an interesting WWII story. Via Ken Gurnick at MLB.com, "German pilot gives Coulombe a shot at Dodgers roster." "I wouldn't be here," said Coulombe, who has thrown two scoreless innings this spring. "If the pilot had followed orders, my grandfather would have died. It's crazy to think." Via Matthew Mesa at Dodger Insider, "Dodger Stadium hosting 20th Annual L.A. Community Job Fair on March 28." Cards that Never Were made a fantastic 1978 fantasy Steve Garvey Topps MVP card. Check it out here.